Turning 50 just might herald in the most exciting decade of your life, and for those who might be entering this stage on their own, there are always singles cruises, designed to bring singles together in the most exotic locations imaginable. While this might sound like all fun and games, it is important to familiarize yourself with what these experiences are about so that you know what to expect from the moment you step aboard over 50s single cruises. Solo cruises and single cruises aren’t the same thing, although they might sound very similar. Solo cruises are cruises that people choose to go on by themselves, and in many or most cases, these individuals are content to spend their holiday by themselves. The purpose of these sorts of cruises is for the individual to get some time away from home and enjoy spending time in the destination of their choice. Over 50s single cruises, on the other hand, were designed to bring single people together so that they can enjoy each other’s company. In some instances, these might be designed for singles to meet with potential love partners, while in other cases, it is simply a chance for single people to meet like minded individuals with which they can share a holiday experience. Hidden costs come part and parcel of many holiday packages, even all expenses paid packaged, so be aware of this when booking over 50s single cruises. Cruise line credit cards are usually handed out at the beginning of the trip, and guests are required to make use of these, instead of their regular cards. 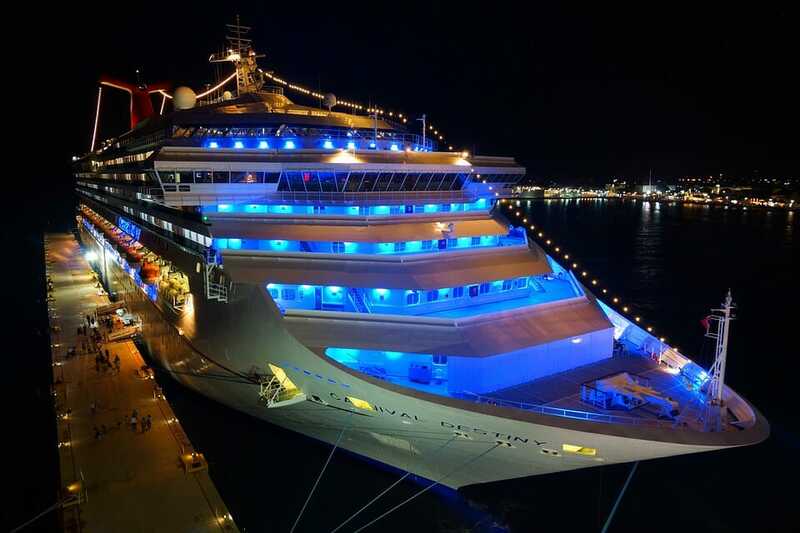 The cruise line cards and the guest’s actual credit cards are linked together, so it means that spending on one will mean spending on the other, but many people don’t think of it like this, which ultimately leads them to spending much more than they meant to. Tipping is another hidden expense that might not be covered in the over 50s single cruise package. It is quite common for cruise lines to provide their guests with information related to tipping, including when and how much is appropriate. When picking your over 50s single cruises, make sure you know exactly what you are in for. Some cruises offer fine dining and elegant balls, while others could have you blushing from head to toe from the moment you get on board. If you are going to be stuck on a boat with a group of strangers from anywhere between a few days and a few weeks, you definitely want to make sure that you are comfortable with the scheduled group activities. Singles cruises can be a lot of fun, and they are tailor made for just about everyone. If you are not interested in meeting someone new, you might want to sign up for a trip that includes Japanese or cooking lessons. Ultimately, it is up to you to make the most of your next single’s cruise, regardless of the destination.